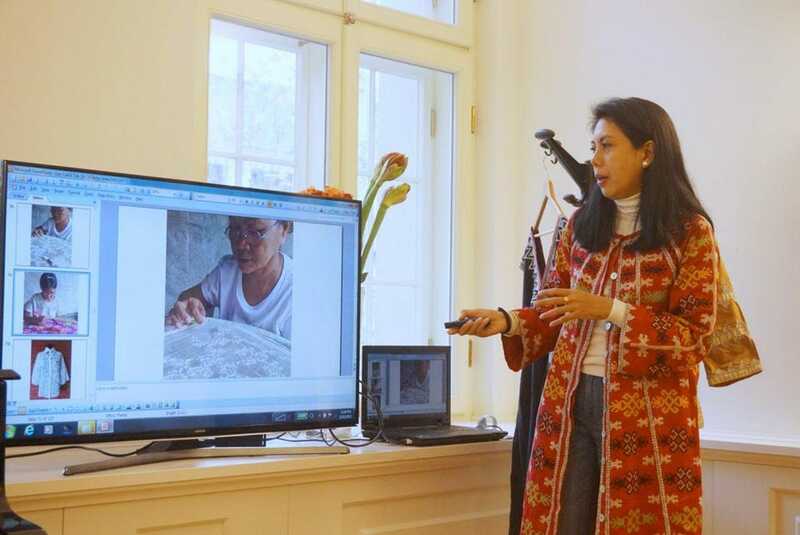 “We’re the turtles of fashion,” Len Cabili, Creative Director and Founder of Philippine ethical fashion brand Filip + Inna, said to a crowd of women listening at the Philippine Embassy in Berlin. 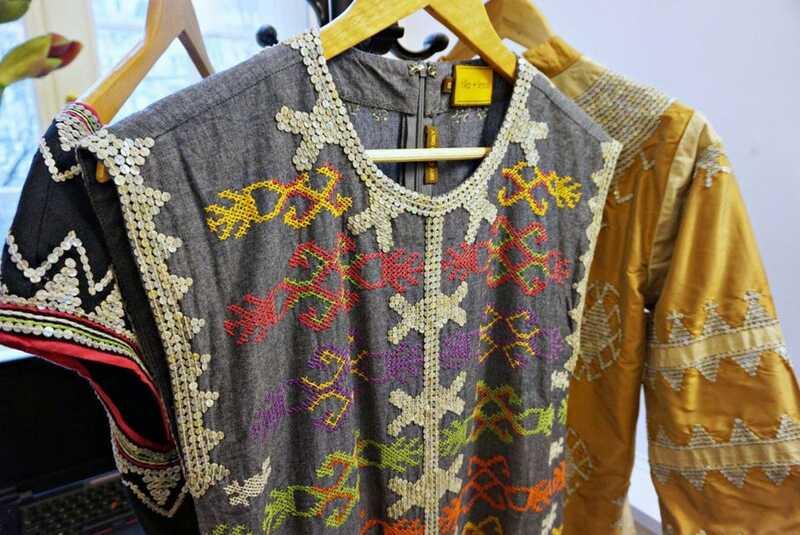 While not as behind the times as her joke might suggest, Cabili’s company is known for its more established aesthetic tastes; Cabili began working with Filipino tribes in 2008, asking them to embroider their traditional patterns and designs to modern home decor before branching out to fashion. She would give them garments with a modern silhouette – an A-line dress, a leather jacket – and ask them which of their patterns and designs would look best on the garments. The result? Intricate, traditional patterns making their way to modern pieces. Age-old designs worn by women who learn more about the tribe through each garment they purchase. Their clients, mostly in the U.S. and Europe. Working with tribes is slow and has had its challenges – thus, the turtle reference. They have their own pace and deliveries are sometimes delayed when the farm or children need to come first or if there’s a typhoon in their remote areas. But Cabili says she wouldn’t have it any other way. There’s more to Filip + Inna as a brand. 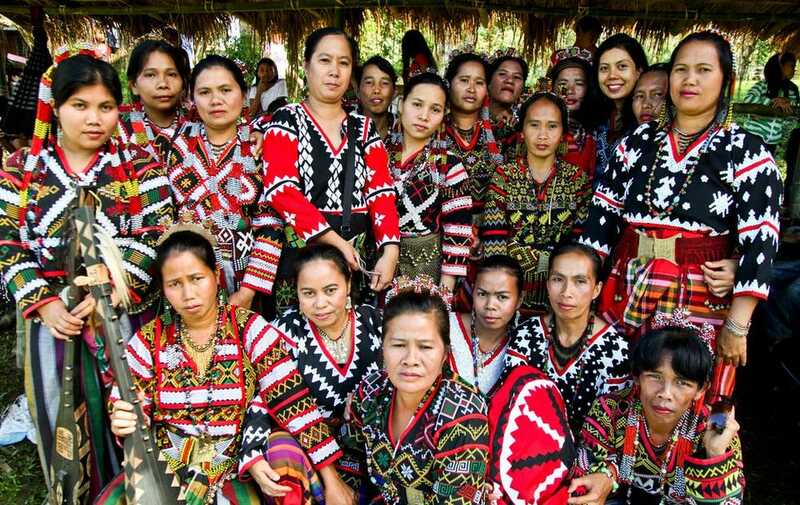 For one, their artisans – actual members of tribes from the Philippines – stitch each garment by hand to create a work of art. They’re not just involved in the design, but the actual embroidery process as well. The company all started with Cabili, growing up in the southern part of the Philippines – Mindanao. The island is home to numerous tribal groups and their preserved culture. Her father was in government and her mother who danced for the country’s national folk dance company, encouraged her to do the same. Growing up, Cabili has interacted with various tribes because of her father’s job. She saw Maranaos wearing their colourful malong and the Yakans who are talented weavers in action. She eventually followed her mother’s footsteps, dancing for the Bayanihan Dance Company. She was able to wear the traditional clothing of tribes from different regions in the Philippines while giving life to their dances on stage. “I remember there was one dance, every time I would wear the traditional garment for it, in my head, I would always think ‘Gosh, I would wear this with jeans’,” Cabili shared. The interest in blending traditional clothing with modern pieces was planted early on. She took up fashion in university but eventually joined her family’s retail business. Fast forward to the present and Cabili is working with tribes all over the Philippines. She sought them out, visiting their communities no matter how remote they were. Cabili’s pieces don’t come cheap with a dress easily going for a few hundred dollars. “We pay the artisans per stitch, there’s no other way. We count every single one of them,” Cabili said. The artisans are not full time weavers. Some of them work their farms and some have children to care for, so it can sometimes take about 20 days for a garment to be finished. To the weavers, working with Cabili means providing for their families while keeping their traditions as they embrace modernity. The burden to keep them from getting exploited, however, rests on Cabili’s shoulders – a task she seems to take upon herself willingly. This, as she talks about the artisans she works with as people who she truly cares about. “When I was starting Filip + Inna, someone asked me why I have to go all the way to Lake Sebu [a remote lake home to the T’boli tribe in the province of Cotabato] to make them do it. Why not just find embroiderers here in Manila?” Cabili said. Cabili is also coming up with a new brand identity that focuses on standardizing the way the garments carry the name of its artisan. Filip + Inna’s upcoming collections will also see a change in color scheme. Something she is excited about as it would cater to a certain market’s taste without losing sight of what is important to the artisans. A more affordable range is also in the works but Cabili says this may take a while as she wants to ensure the quality remains the same as the brand and its name represent the Philippines. “It is easy to create something and sell it at a cheaper price. But I think with the brand, we have this sense of responsibility because if you look at it, it looks back on the country,” Cabili said.